Washington D.C. - The World War 2 Memorial . 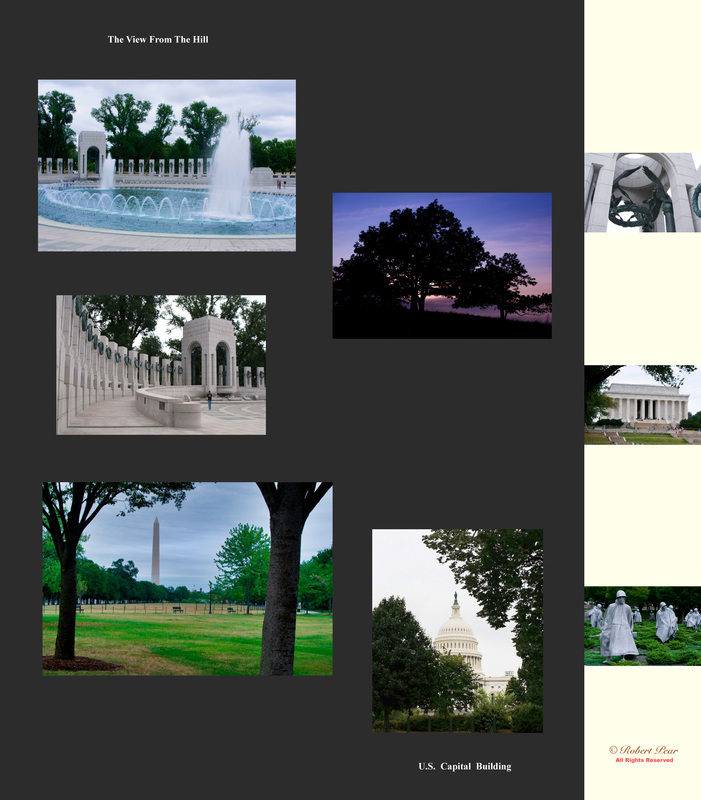 UPPER LEFT (and sidebar at top): The World War II Memorial in Washington D.C. is quite pretty. All the states are represented here.The Pacific & Atlantic war theatres' are also represented at the monument. BOTTOM LEFT: The Washington Monument . SIDEBAR (middle): The Lincoln Memorial . SIDEBAR (bottom): The Korean War Memorial. MIDDLE: Perhaps symbolic of the kind of foliage you might see in this region of the country, I took this silhouette shot of a tree in Shenandoah National Park just a few hours drive time west of Washington D.C.